Still Looking for Father’s Day Gift? How about a Kindle? I’m on the fence and have been thinking about ordering one for hubby. I have ’til end of day – gotta love that Amazon will ship so quickly! If you order it today, chances are it’ll come tomorrow and if not then – by Saturday! Just in time for Father’s Day. 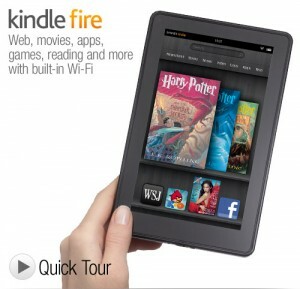 The Kindle Fire is $199. Another option if he doesn’t need the Fire is the Kindle 3G Keyboard for $139. Do you have a gift for Dad yet? If so, what did you get him?